The three day weekend was off to a good start with good track and weather conditions. Due to a local requirement of no racing before 12noon on Sunday, sees Oulton having more practice sessions, less action on the track with only one race. Saturday’s free practice sessions saw Cameron pushing hard, putting in some good sector and lap times to finish 2 nd in the Honda Standard class in both sessions. Free practice on Sunday and Cameron was determined to keep up the pressure but this was cut short by a crash. Both bike and rider suffered damage, the bike more so than the rider. With qualifying coming up later in day emergency repairs were undertaken allowing Cameron to get out onto the track to qualify in 5 th place after only six minutes of qualifying time. A decision was taken not to go out for warm up on Sunday morning as due to the crash there was no spare wheel in reserve. After a wet early morning, weather and track conditions started to improve during late morning and by afternoon the track was dry. Sunday’s race and riders were on the grid; as the lights went out and bikes raced down the track there was an incident causing several riders to crash practically on the start line. The race was immediately red flagged to allow the emergency services attend to the injured riders. On restart the number of laps was reduced to 11; Cameron was in 7 th place but on laps 9/10 managed to pass two riders to finish 5 th overall in his class. After the race Cameron said he had enjoyed the weekend and despite the problems was 3 rd in the championship after 3 rounds but would now have a two month break from racing, missing Knockhill, to concentrate on the forthcoming GCSE exams. A special thanks to my Dad for getting the bike repaired and ready for the race, also thank you to my family and all who support me. The weekend got off to a good start for Cameron at the free practice sessions on Friday notching up some good laps and sector times finishing 4 th and 3 rd overall in the standard Honda class. 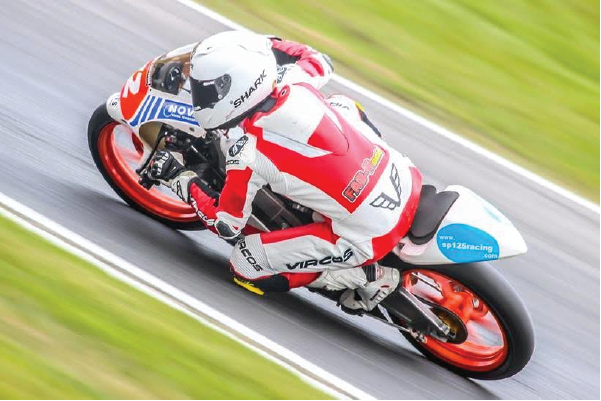 Saturday’s qualifying session again saw Cameron out on track and pushing hard; being held up in traffic with some of the slower Moto 3 riders he wasn’t able to move up finishing 4 th in his class. By virtue of his lap time from Saturday, Cameron started Sunday’s race from 18 th on the grid. As the lights went out for the 16 lap race he was battling hard to move up through the field, gaining on some of the corners and at the flag again finishing 4 th and 15 th overall. Monday’s race over 22 laps and determined for a podium place saw Cameron with the bit between his teeth from the start and up into 2 nd place before getting held up in traffic and dropping back to 4 th. On the final lap and making a move at the right moment Cameron passed Jack Scott to take 3 rd place by 0.04 second, finish the weekend at his home track on the podium and 3 rd place in the championship. 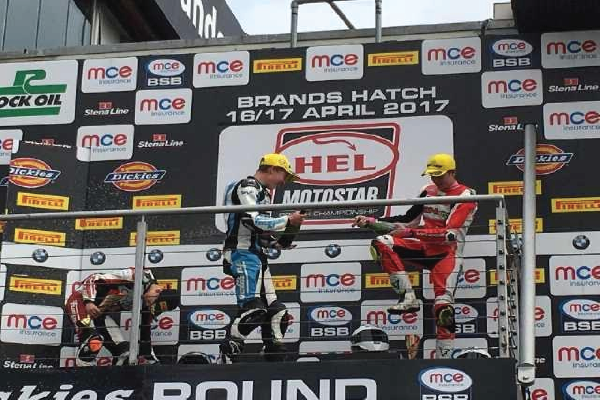 Cameron said, it has been a good weekend at my home track, great to have made it to the podium, thank you to Fab/Nova racing, my family and all who support me.